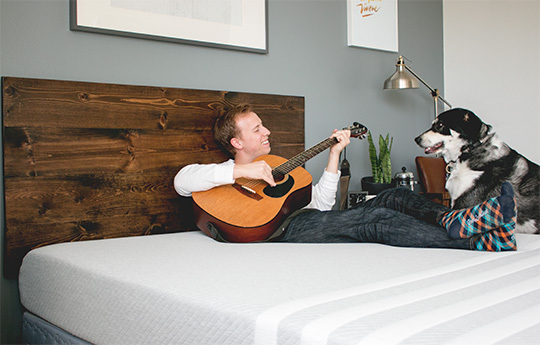 Mattresses are probably one of the top three biggest purchases most people make, right behind house and car. When you buy a mattress you’re committing to your nightly sleep experience for the life of the mattress, 10 years or more. They can run thousands of dollars and the whole process is complex and opaque – and it’s designed to be that way! Manufacturers take advantage of phenomena like Decision Fatigue to sap your brainpower and make you vulnerable to irrational, expensive decisions. 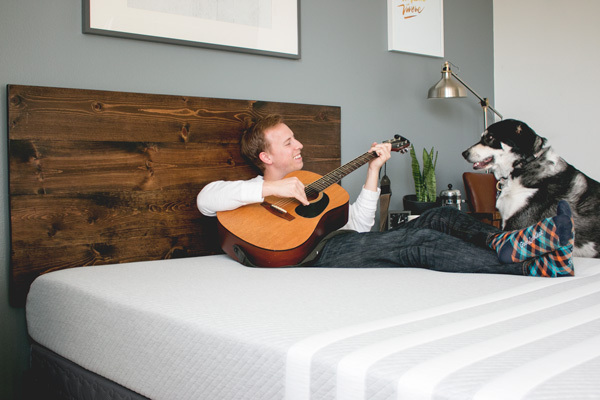 Leesa brings the mattress-buying process into the age of smart decision-making. 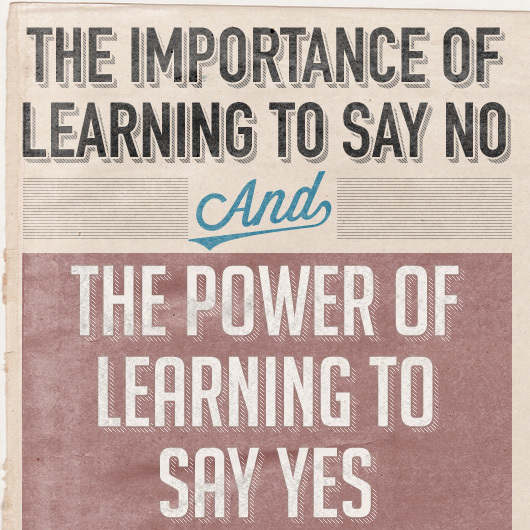 Gone is the haggling, uncertain quality, and frustration, replaced by simplicity, transparency, and quality. Leesa mattresses are 100% American made and backed by a 10 year warranty, and each one ships with a 100 night trial period and money-back guarantee which means Buyer’s Remorse won’t be an issue. Simply select the size you want and a mattress arrives at your door less than a week later. Click here to read Primer's full Leesa review. I love Leesa because they’ve taken all of the bad stuff out of buying a mattress and replaced it with value, ease, and 3 layers of cooling, contouring, and support foam. Delightful. Check out Leesa and save $75. What’s the biggest problem with ordering clothes online? Uncertainty about fit. You like how something looks and click “buy” but when it arrives it’s all wrong. Then you’re stuck with a return process that burns time and shipping costs that burn cash. Jack Threads has changed the game. 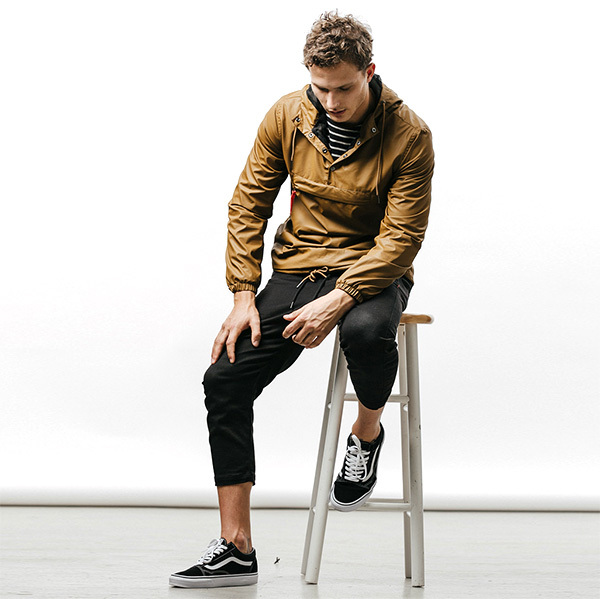 Jack Threads just announced Tryouts, a try-before-you-buy program that made me realize, “Why didn’t online shopping always work this way?” JT will send you the clothes you want, give you a week to make up your mind, and you can send it back for free. You don’t get charged for your order until after the weeklong trial period is up. Best of all there’s no limit to the things you can try. This means you can do exactly what you would at a physical store: if you’re not sure about how something fits, order it in two sizes and get exactly the fit you need. It makes sense that JT would innovate like this – the brand was originally founded as an online-only subscription. Check out Jack Threads. Finding a remarkable deal at a vintage or Goodwill store is amazing, but it’s like four leaf clovers – you can spend a lot of time searching and still only come up with average results. Enter: Grailed. 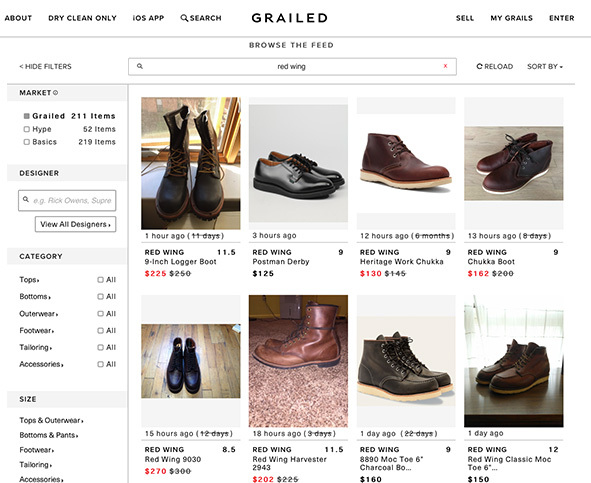 Grailed describes itself as “a curated community marketplace for men’s clothing.” Translation: the Ebay of premium men’s brands. You’ll see a lot of limited edition sneaks, lesser known high-end designers, and more popular luxury brands. Grailed is the place to score a $900 pair of Versace pants for $200 (if you’re in to that sort of thing). If you’re not, Grailed is actually three marketplaces in one. Select the Hype filter and you’ll be shown new streetwear releases. Basics is for brands like J Crew, as well as vintage. If you’re willing to do some scrolling, you might just score that perfect find. Check out Grailed. First it was grocery delivery. Then high-end meal planning services went on-demand. Blue Apron combined the two and created the ultimate subscription service for people who want to eat healthier while learning new skills in the kitchen. To get started, pick a two-person or family plan. 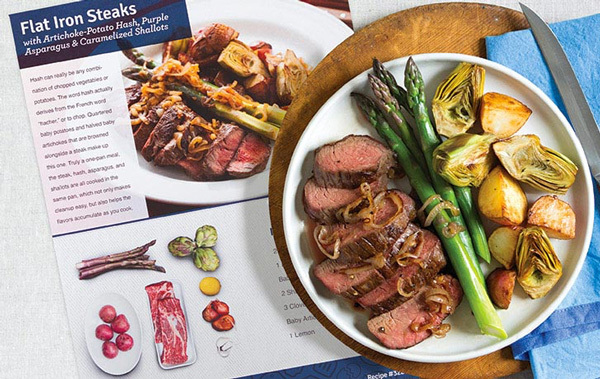 Blue Apron will send you 2-4 recipes per week at a price point of about $9 per serving. You should consider Blue Apron on the strength of three factors: First, Blue Apron removes the need for weekly meal planning. It can actually save some serious mental bandwidth. Second, each meal is an opportunity to try new skills and expand your palate. Finally, the food is just really good. Would you make grilled honey sriracha chicken or beet & barley risotto with goat cheese on your own? Check out Blue Apron. The revolution in style boxes means it’s never been so easy or sensible to enlist the help of your own personal stylist, sit back, and curate your shopping experience instead of pounding the pavement yourself. Style boxes are, in a sense, a throwback to an earlier (and possibly mythical) time when a guy let his wife worry about the specifics of his wardrobe. Thankfully, gender roles have evolved but many men still don’t like to shop. So don’t. 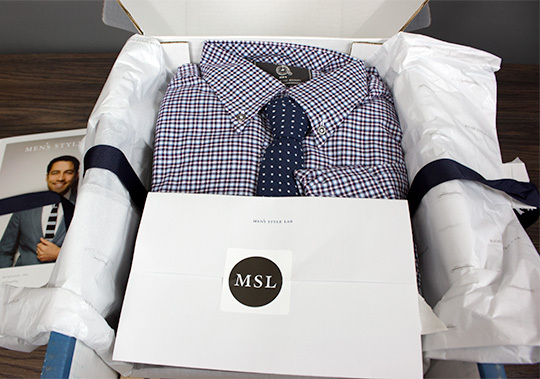 Pick your price point and let subscriptions like Men’s Style Lab, Five Four, and Trunk Club stock your closet. Have you ever had a favorite shirt or pair of pants that just fit you perfectly, but struggle to duplicate that perfect fit in other brands? There might, finally, be an answer to that conundrum. 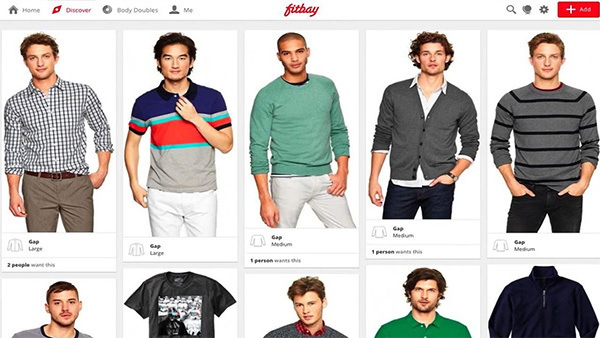 Somewhere in a Bay Area incubator, an aspiring tech entrepreneur was doing some blue sky brainstorming and wrote down “Facebook?” and “Clothes Shopping?” and “BMI?” and Fitbay was born. Fitbay is part social network and part personal shopping concierge, and it works like this: You fill out a questionnaire on your body type, sizing information, and the size of some brands you already own. Then you can connect with people who share your body type and style, and share photos of existing getups that fit well. The clothes Fitbay shows you are informed by this whole process and should fit you better than just trying your luck online. The most powerful feature of Fitbay is that it crowdsources the discovery of brands suited to both your taste and body type. Used correctly, Fitbay has the potential to be a huge time and hassle saver. Check out Fitbay. Ok, Amazon may seem like an unnecessary recommendation but let us make the case. With two day free shipping, free returns, and an immense reviewing community Amazon combines features of all the subscriptions we recommend above for $8.25 a month… and it streams content! Need a belt? Search with Prime, find the style, color, and material you want, click on one that has 4.5 stars or better and you’re done. Belt shopping: complete in 50 seconds. 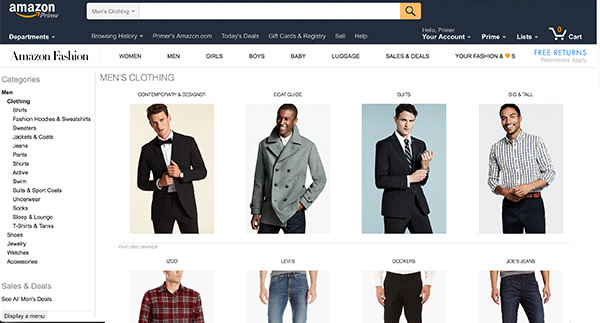 If you want to go deeper, check out Amazon Fashion for a more guided shopping experience. It’s not going to offer the personal touch of a concierge-style subscription but for day to day convenience that maximizes the wisdom of the crowd, Amazon can’t be beat. Sign up for Amazon Prime before November 18 ends and save $20. We've partnered up with Leesa to give Primer readers an exclusive $75 discount making their queen mattress only $815, worth it in all the hassle you save alone. You could literally buy one on your phone in 5 minutes. Use code “PRIMER” at checkout. Click here to check out Leesa! My pooch Leela is the only one who actually likes it when I play Wonderwall. Five four is the most awful company I have ever tried. I would never recommend them. They refused to cancel my service, kept charging me, but DIDN’T ship boxes. They even confirmed TWICE that they hadn’t tried to send anything. Absolutely AWFUL. Oh and the clothes I did get (which I couldn’t return, by the way, since they have a non-return policy) were the lowest quality of clothes I could imagine. While trying to zip up a pair of pants the entire zipper came off. HOW DO YOU NOT SEW ON A ZIPPER CORRECTLY. Do not buy from Five Four. You will regret being born. What’s with fitbay.com? I’m not able to get to their site, anybody else? Hello Ben I just tried fitbay and it has a website and app. My initial reaction is one half Facebook and one half Pinterest. Seems to be working fine.